I like this guy. He looks a bit like Johnny Bench. 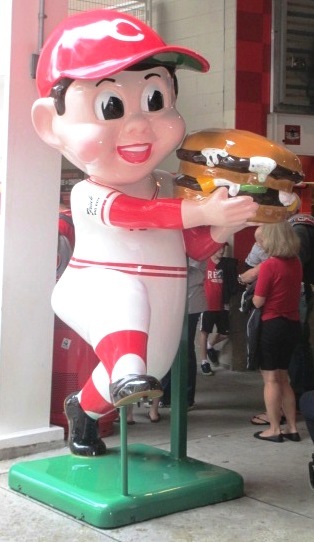 Great American Ball Park Food Options, Tip #1) Frisch’s Big Boy Burgers. Frisch’s is another chain that started in Cincinnati; they were added to the long list of local chains featured in Great American once they figured out how to install their topsider grills. The stand in the main concourse actually has a statue of the big Frisch’s mascot in a Reds uniform. Very cool. Frisch’s stands have the famous Big Boy burger, the double decker with two 1/8 pound patties, lettuce, cheese, pickles and Frisch’s famous tartar sauce (heavy on mayo and pickle relish). If you like that tartar sauce, you can get some extra for your burger, and you can also order a jar from Frisch’s website. Because you can’t get a good sub on the West Coast. Great American Ball Park Food Options, Tip #2) Penn Station Subs. The local chain of East Coast sub shops modeled after the Philly cheesesteak joints has a couple of spots at Great American. Penn Station keeps it simple; there are only two items on the menu, the Philly-style cheesesteak on sourdough bread and fresh-cut fries with some skin left on. You get them together or just get the fries. And fresh-squeezed lemonade to drink it down. 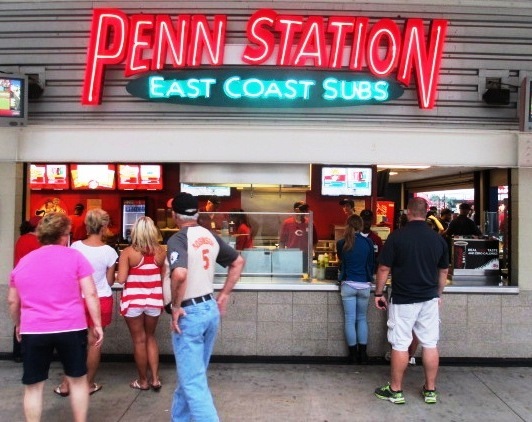 Penn Station is very popular in the area (they’ve won several “best sandwich” awards, not bad for a chain), and the ballpark version actually isn’t much more expensive than at the chain itself, so you’re getting a fairly decent value here too. 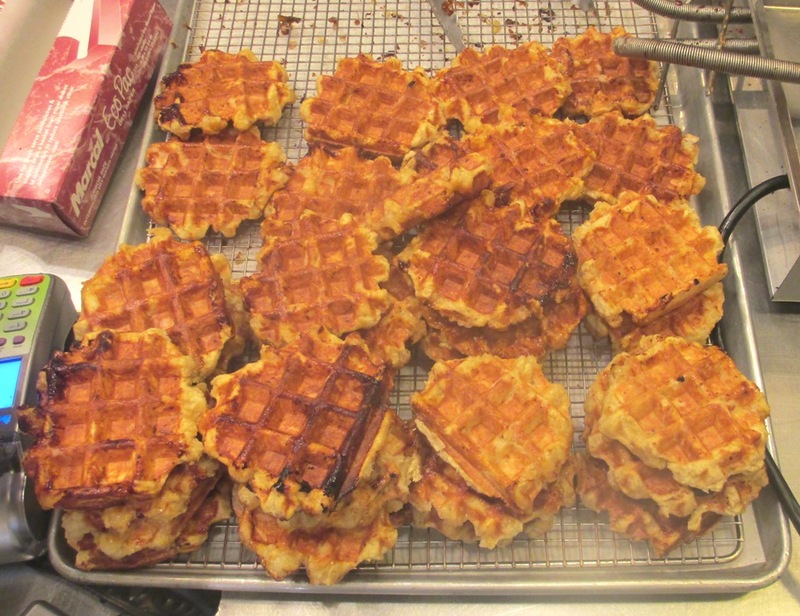 Great American Ball Park Food Options, Tip #3) Taste of Belgium Waffles. Taste of Belgium is a chain of shops known for serving among the most popular Belgian waffles in the region; in 2014 they became the Official Waffle of the Reds. Here you can get plain, chocolate or strawberry and cream waffles with Ohio maple syrup; or you can get a chicken and waffle dish and/or frites (fries) if that grabs. Taste of Belgium now has red velvet waffles topped with whipped cream and red sprinkles. Nice romantic thing if you’re bringing a date. Incidentally, there’s a Taste of Belgium on Freedom Way between the ballpark and Paul Brown Stadium; you can try it cheaper there. Or in the Findlay Market if you’re visiting and using this tip. Wherever, just try them…they’re amazing. So now you know a few choices that you have for grub while enjoying your Reds baseball…don’t go hungry when you can have a Philly cheesesteak. Enjoying the cool Reds game tips? 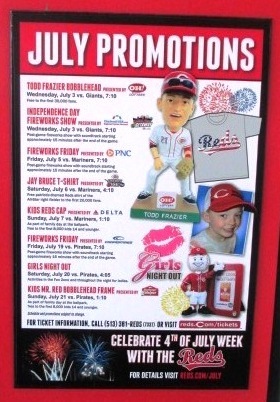 Sign up today for the absolutely free Ballpark E-Guides Great American Ball Park newsletter!